So what is a neutral lipstick? For beginners, finding the right shade can be daunting with thousands of colors available at make-up counters. Picking up the right shade can turn terrifying instead of fun when you don't know where to start. Before opting for a red/pink/orange shade. You need to get this right and have one of these tubes in your life first! It'll make getting made up a WHOLE lot easier. A neutral lipstick is a shade that matches your natural lip shade. It can either be lighter or darker depending on your preference or skin tone but what's most important is that it compliments your skin tone. 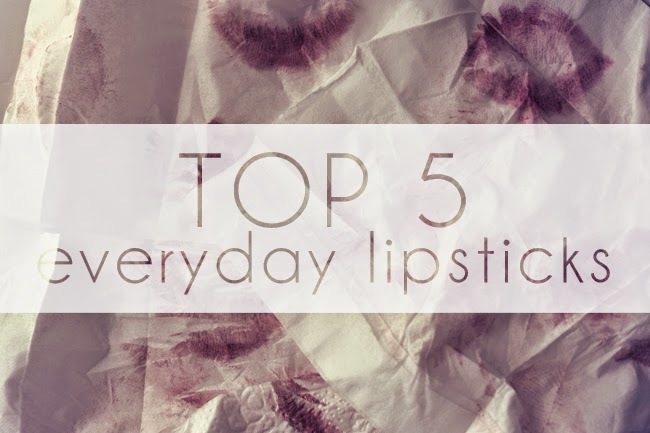 What to look for: Lipstick in a brownish-pinkish shade. 1. Rimmel X Kate Moss Lipstick in No.19 - I love this cause it's cheap (only P350 from Shop London UK via Takatack.com) and has a nice shade and texture. Not too light that it washes me out and it's creamy too. Great dupe for my ultimate fave from NARS (more on that later). ***The downside: easily comes off and you need to re-apply it quite often. Great, great flattering shade though. 2. NARS Audacious Lipstick in Vanessa - I LOVE THIS! A bit pricey at P2k+ a tube but I tell you, it's worth every penny! Best texture and coverage ever + a dream to apply. Highly pigmented and long-wearing. Most importantly, it flatters and brightens my face. If you want a good lipstick to wear everyday, get this. There's also about 4/5 shades more from the Audacious lipstick line that are ever so slightly different so you can easily find one that matches you perfectly. Aside from Vanessa, also check out: Barbara, Raquel, Anita, Julie and Brigette. ***The downside: they're always out of stock and pretty difficult to come by. If you're lucky enough to find a shade you love in stock, don't think twice, grab it while you can. 3. 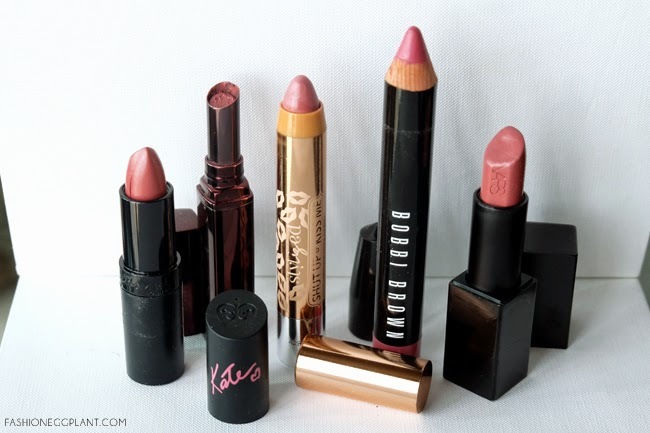 Bobbi Brown Art Stick in Dusty Pink - Perfect for those who prefer a shade leaning more towards the pinks than browns but still understated enough to wear everyday. These Art Sticks by Bobbi Brown have a cult following for good reason. Both a lip liner and lipstick in one, it's very long-wearing and fades beautifully. It's highly pigmented and creamy despite being in crayon form. Fantastic coverage too. Priced fairly for a premium lipstick as well at just P1500/stick. ***can't think of a downside to this one. 4. Happy Skin StyLIZed Lipstick in Style Icon - A new favorite of mine. It feels and works like a premium lipstick but for less than half the price. At just P599/stick, it's a great option for those on a tighter budget. It has a nice, creamy matte formula and pretty decent staying power. Stays on far longer than the Rimmel and doesn't leave an ugly stain when it fades. ***The downside: a bit light so it might not be as flattering on all skin tones. 5. Laura Mercier Rouge Nouveau Lipstick in Cafe - This one has a soft spot in my heart heart because it's the first "neutral" lipstick I fell in love with. As you can see in the photo above, I finished the entire tube. I had to apply it with a lip brush for this post because there was hardly any left. (You can read more about the Rouge Nouveau line HERE) This lipstick is moisturizing and feels light as a feather since it's wax-free. Long-wearing ad very affordable for a premium lipstick at just P999/tube. NYX Round Lipsticks - Thalia is a pretty good shade but hard to come by. Affordable but lead content pretty questionable. CHANEL - super super super long wearing!!! i always feel washed out with nudes.. it takes a strong push for me to wear them instead of my usual bold reds.. ehheeh but im considering to venture out of my comfort zone.. nice post! the rimmel and nars looks like they're dupes on this pic.. cant afford the nars one hehe so ill check out rimmel. been a long long time that i wanted to try the kate line. happy skin as well. i always get sidetracked by more affordable options on the market.. not yoyr alley maybe but have you tried ever bilena matte lipstick in mauvey.. one of my favorites nudes or neutral for me and ohhh so affordable haha.. nyx mattes will be my next ones to try.. ipon first.. great post sarah. thanks sis! Hi Sarah, I nominated you too for The Versatile Bloggers Award. yes sis. 99 nga lang dati now i think nasa 145-165 na sya.. still faily affordable.. lalo na sa budget conscious like me.. Thanks for the tips Sarah! I don't use lipstick kasi and I'm intimidated by pink or red lippies. Will start with something that matches my lips! This is really helpful, I'm a noob at choosing makeup. I have this mauve lipstick though that is close to your picks, but it makes my lips look dry, that's what I get for settling with a cheap brand. Perhaps I'll try buying the one from Happy Skin this time!